Wander through colorful street-art lined tunnels in San Marcos la Laguna. 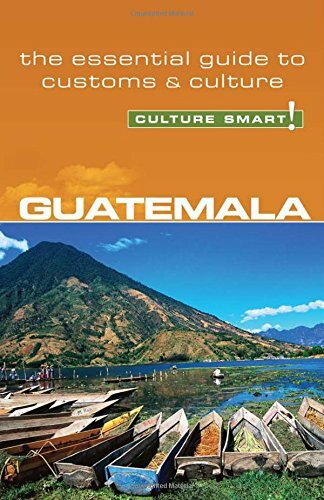 Guatemala actually translates as "land of the forests" and was derived from a Mayan dialect spoken by the indigenous tribes at the time of the Spanish conquest in 1523. Mayan culture is still very present throughout the country with Spanish influences as well. With 37 volcanoes, lush rainforests, azure blue lakes and shoreline surfing, the country is rich with diverse landscapes and topography. Whether you are searching for a relaxing retreat to the beach, some adventure filled group excursions, yoga and meditation, or time to gather together over delicious local fare, this country is a great location to explore with your team. 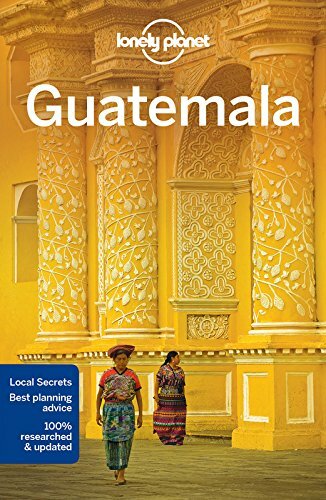 Guatemala is part of Central America which is the southern most part of North America. It is bordered by Mexico to the northwest, the Pacific Ocean to the southwest, Belize and the Caribbean Sea to the northeast, and Honduras and El Salvador to the southeast. The best time to visit Guatemala is in December and January. The vegetation is still green from all of the rain, but the sky remains clear. In late November and early December visitors can enjoy the extravagant holiday decorations throughout the country. The rainy season is typically from mid-May to October or November. November through April are the dry summer months of Guatemala. To avoid crowds, visit towards the very beginning or tail-end of the rainy season when the weather is still likely to be good. Guatemala is on the Guatemalan quetzal (GTQ). The currency symbol is Q. According to XE.com, the most popular exchange rate is the GTQ to USD, the US Dollar. Money exchanges can be made at the airport when you arrive or at local banks and currency exchange center. You can get more information about the currency and current exchange rates here. Remember that Travellers Cheques are only accepted at dedicated foreign exchange shops or banks. There are plenty of ATMs around Guatemala, especially in the larger cities, so you can always get cash once you are in the country, just be aware of your own bank fees, ATM withdrawal fees and credit card foreign transaction fees. The major international airport is La Aurora International Airport (GUA) in Guatemala City, Guatemala. There are domestic and regional airports throughout the country as well. While in Guatemala there are public buses and minibuses as well as taxis and tuk-tuks or private shuttle buses. The public buses, also known as a "chicken bus" tend to be crowded, but it is definitely an experience worth having to understand how the locals get around. When staying in the lake communities, you can hop from village to village by speed boat. If you are unsure about the best way for you and your team to get around, don't worry, the Rebel + Connect Team can handle the planning for you so you can simply enjoy yourself and rest assured that you'll arrive to your destination safely. The city of Antigua is rich with culture and beautiful architecture. Fly into GUA and plan a private shuttle bus to take you to the city. My two favorite hotels in Antigua are Hotel Casa Antigua and Camino Real Antigua. Both provide beautiful accommodations with traditional Guatemalan fabrics adorning the room. Casa Antigua is slightly closer to the city center and has a beautiful rooftop view of the Agua, Acatenango and Fuego volcanoes. View of Agua, Acatenango and Fuego from the roof of Casa Antigua. When exploring Antigua, be sure to stop by the chocolate museum, Choco Museo, where you and your team can hear about the history and culture of Antigua while pleasing the palette with some of the world's best chocolate treats. You can meander through the free museum or try something like a "Chocolate Workshop" and learn more together as a group! Full Moon Cafe in San Martin Jilotepeque. In Antigua be sure to check out Pitaya, a delicious juice, smoothie and sandwich bar. If you choose to do a volunteer trip with Hug It Forward, you will definitely be checking out one of the best restaurants in Guatemala, The Full Moon Cafe in San Martin Jilotepeque. In the Lake Atitlan area, you have to venture just outside the center of San Marcos and get homemade tortillas from Juanita's. They are worth the search! Breakfast with a view at Casa del Mundo on Lake Atitlan. Inside Juanita's home kitchen where she makes fresh, homemade tortillas. 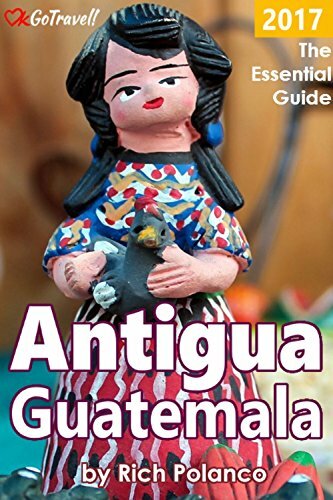 Guatemala is known for its exquisite handwoven textiles and intricate wood carvings. Visit the markets throughout the country, and if you choose to barter, don't forget to use your manners and respect that these crafts are the livelihood of the people. You will find fascinating artwork throughout the cities and villages of Guatemala making any walk with your team a beautiful experience. To get to Lake Atitlan you can take a bus to Panajachel. From there, hop on a boat and head to any of the lakeside villages. Be sure to check out La Casa del Mundo, a hotel that is carved into the side of the rock. There is no village there, just the hotel, but the views and the family style meals are enough. One of my favorite villages along the lake is San Marcos. 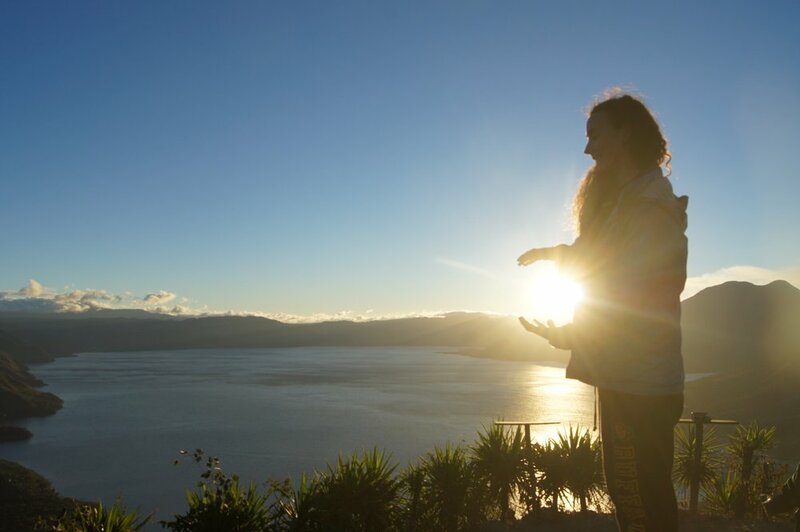 There you can explore the meditation and yoga classes provided by Las Piramides, jump off La Trampolina, or hike a volcano at sunrise. For a magical stay, book a group of rooms and suites for your team at Lush Atitlan. Lush has a variety of room sizes and a delicious restaurant on site. The staff is knowledgable about the area and are there to make your stay as comfortable as possible. These ruins are not crowded with tourists. Often times you can wander through and end up being the only people there other than the occasional Guatemalan family having an afternoon picnic inside the grounds. The energy of the grounds here is palpable. Climbing the structures in the sunshine with your teammates is a great way to understand the Mayan culture while growing closer as a team. A week on a Hug It Forward trip includes a visit to these Mayan ruins. Sometimes you can get a local guide to share lots of interesting information about the Mayan culture and history and share with you your own personal Mayan energy based on your date of birth. They say the team that plays together stays together. Well, an even stronger bond can be formed when a team gives back together. Hug It Forward is a non-profit based out of San Diego with a headquarters in Guatemala as well. They give groups an opportunity to experience Guatemalan culture while giving back. Every trip includes transportation to and from La Aurora airport, two nights at Casa Antigua in Antigua, a day to explore Antigua, transportation to and from the build site, all of your meals and a day trip to the Mayan ruins. The meals are cooked by a local Guatemalan chef, Christy, who is also the owner of the Full Moon Cafe. They are served family style so you and your team can safely enjoy local fare while sharing stories from the day. I highly recommend this experience for any team wanting to connect with each other and volunteer. For a short day hike, Cerro de la Cruz in Antigua is a great option. On a clear day you can see the entire city of Antigua straight out to the top of Volcan de Agua. If you're looking for a little more adventure, you and your team can hike a volcano together for breathtaking views you can't find anywhere else. In the Lake Atitlan area, Volcan San Pedro provides the clearest views of the area, especially if you get an early start and get to the top before the occasional rain comes through. Another great outdoor activity is to hike Indian Nose at sunrise. This hike is medium difficulty, and if you go with any of the local guides from the center of San Marcos, you're guaranteed a great adventure. They meet you at 4AM to hop in a tuk-tuk and then on to the "chicken bus." From there, you are taken by shuttle to the trailhead. The guides take you all the way to the top and upon arrival, make you hot coffee or tea to sip on as the sun rises. While it is a very early morning, it is not something to miss. Imagine being in a new country with your team and learning about the history and seed-to-seal process of a crop vital to that country's economy. Well, you can do that in Guatemala! R. Dalton Coffee Plantation is a great place to visit while in Antigua. You and your team can see the plants from seeds to roasted beans, learn about the history of Guatemala and end with a taste test of various roasts. Then, when you return to your own individual home offices, on your next video meeting, you can cheers with your cup of Guatemalan coffee and connect on a deeper level as you relive the memories from your retreat. That's right! You and your team can learn how to cook the foods you are trying throughout your retreat in Guatemala! Whether you're a Michelin star chef or you don't even know how to hold a knife, the teachers at the Mayan Kitchen Cooking Class will help you out. What better way to grow as a team than to learn a new skill like cooking to take back and practice at home? Ready to book your company retreat to Guatemala? So excited you're not sure where to begin? Contact Rebel + Connect today and we'll do a FREE consultation! What are you waiting for? ?